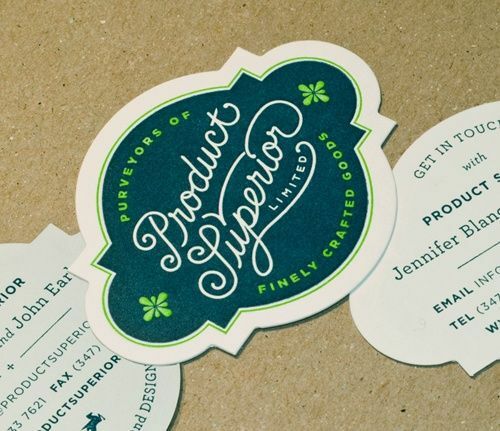 You are currently browsing the Superior Promos Promotional Products and Items Blog blog archives for August, 2014. Back to School Savings on Promotional Products! Having trouble viewing images? Go here to see this e-mail online. *Get 10% off on all orders, including great savings on all Back To School Items Discount is valid until 8/31/2014 and applied before shipping cost. Cannot be combined with other offers or applied to any current orders. Yes, more traditional business practices are going digital these days. 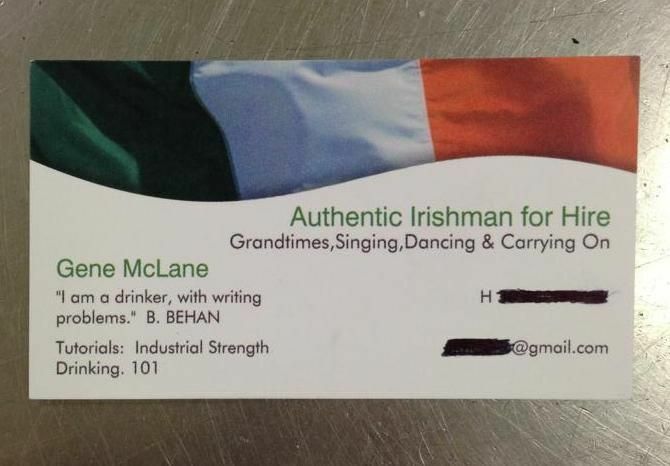 Though sometimes, a good ol’ physical business card is just as effective for that networking event, trade fair or random grocery store encounter. 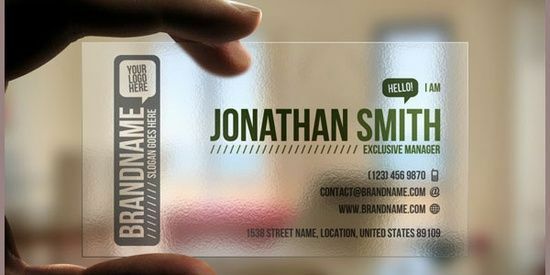 But to make yourself memorable, leave behind the ho-hum, stock-designed business cards in favor of something a bit more creative. Who knows? 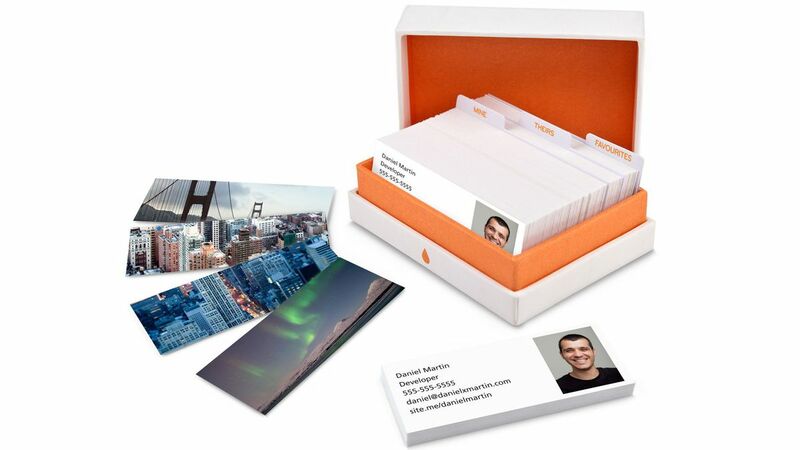 It might be worth that little extra investment when your company stands out from the stack of cards already on everyone’s desk. 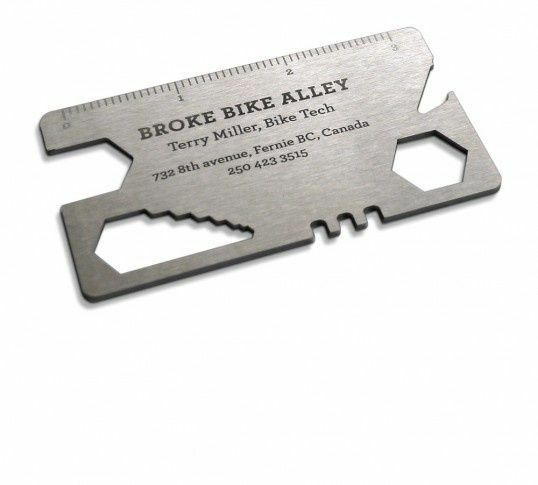 We scoured the Internet and found some pretty clever designs. 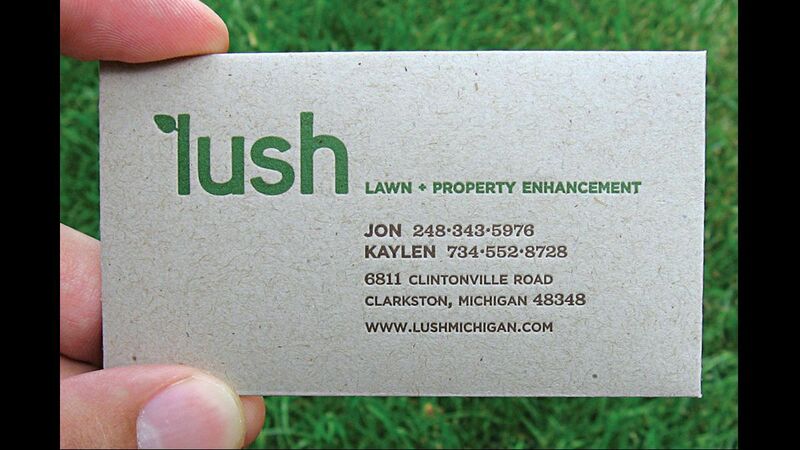 Check out our list below of 30 creative business cards (in no particular order) — they leave quite the impression. Truly put a face to a name with this design by REACTOR. Embedded image courtesy of Card Observer. 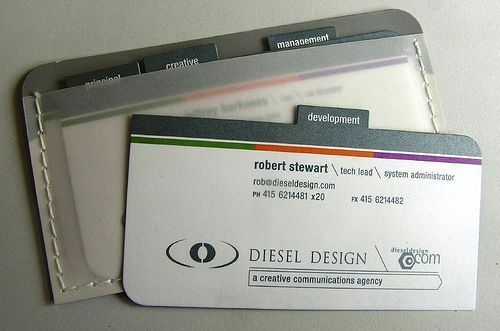 If multiple people from a company are passing out cards, this sort of tab style by Diesel Designkeeps things organized for recipients. 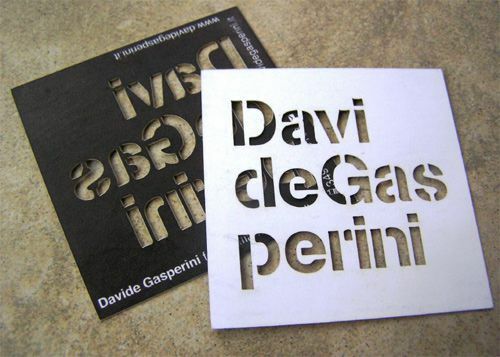 A eye-catching design by “itomizer” for Davide Gasperini. 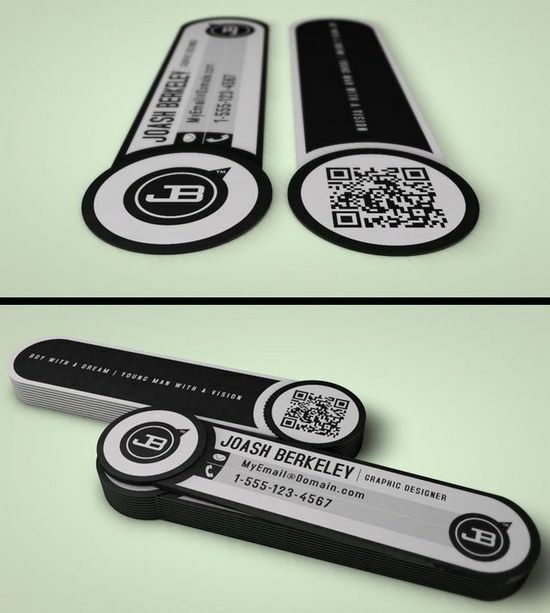 If you’re looking to emphasize your online presence for a personal or corporate brand, this is a clear way to make a statement. Embedded image courtesy of Imgur, donveto. 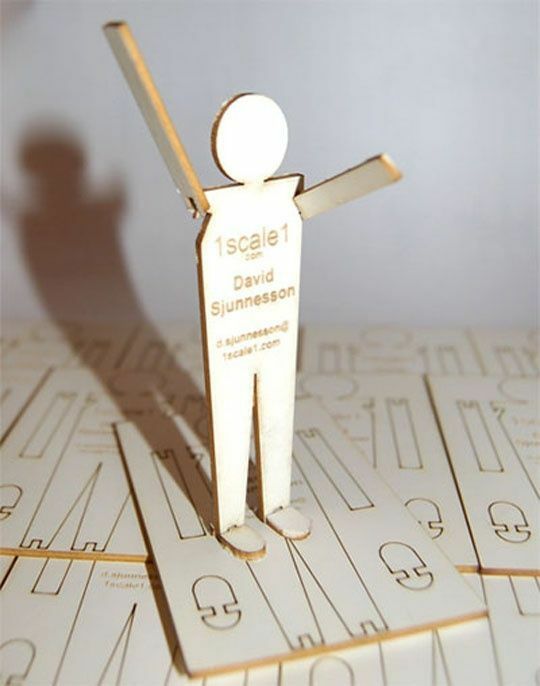 If you’re a coder or web guru, why not show off your skills? Embedded image courtesy of Imgur, BurgerGrease. This “card” doubles as a LEGO toy and memorable desk ornament. Embedded image courtesy of Imgur, skmotay. 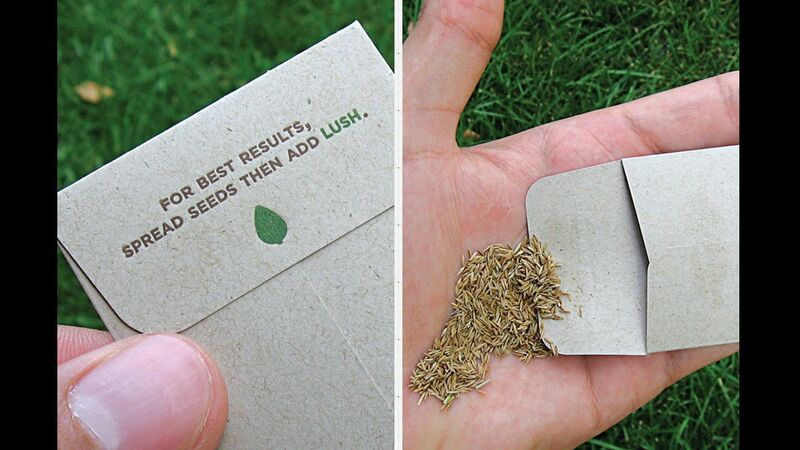 This card design complements what the company mission and includes actual lawn seeds. 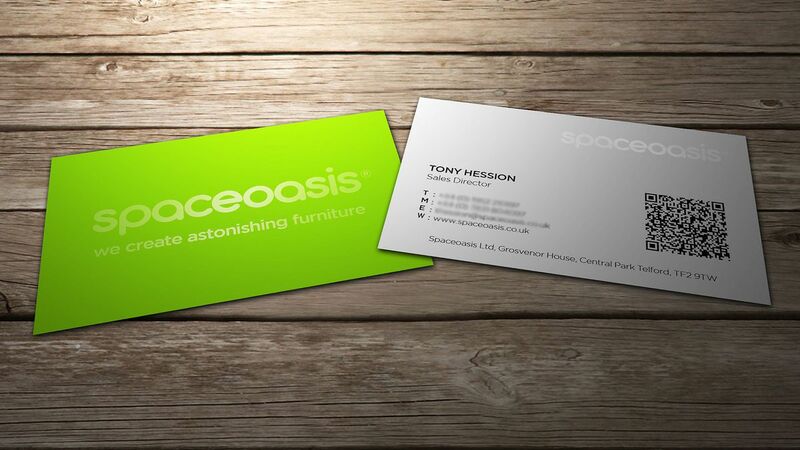 Designed by creative agency STRUCK. 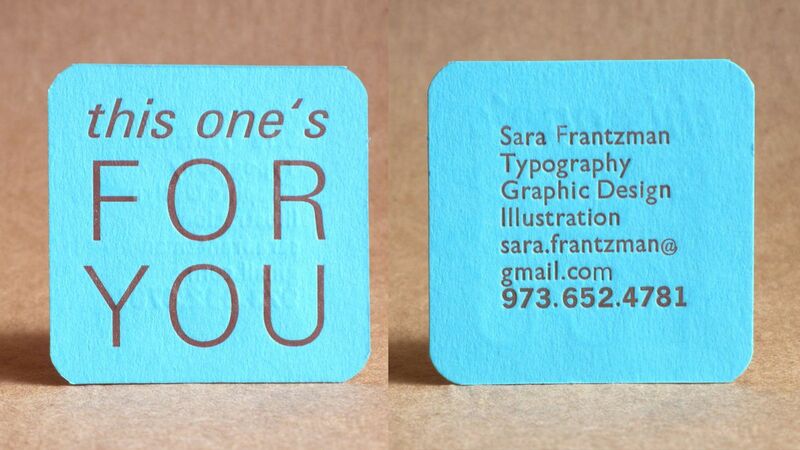 Who wouldn’t love a business card you can eat? The only hitch would be noting down all that contact information before taking a bite. 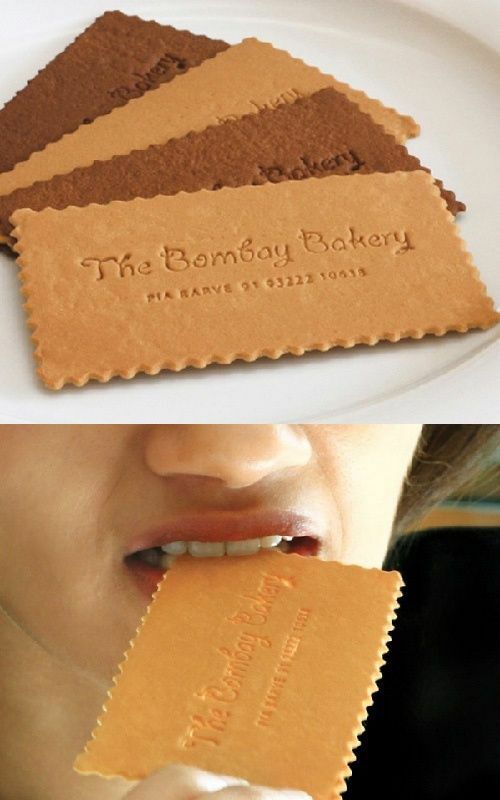 Dizzy Design created the card for The Bombay Bakery. Organic beef jerky, anyone? 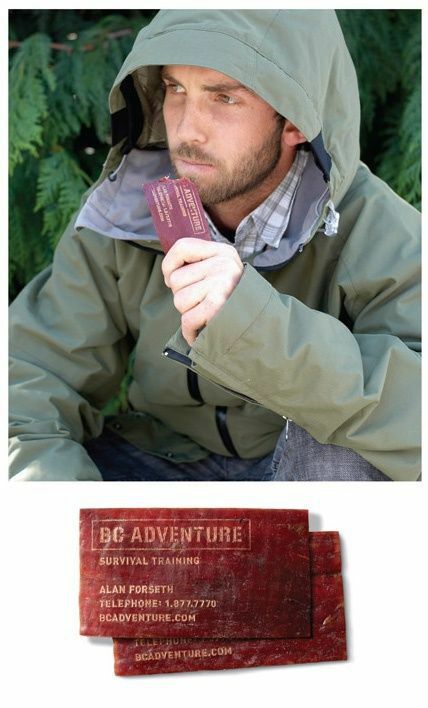 Designed by the folks at Rethink, Canada. 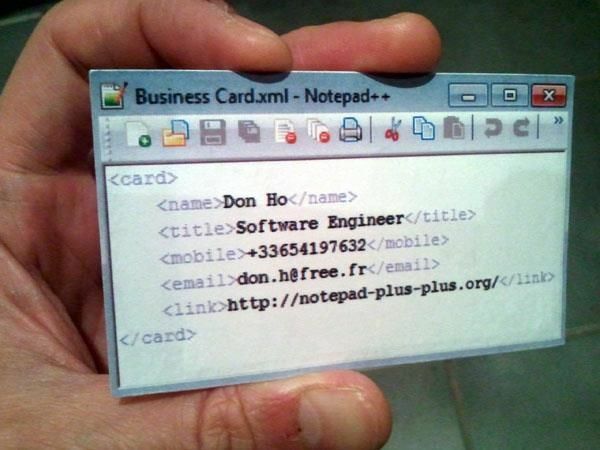 A business card you can truly use as a tool. This design also from Rethink, Canada. 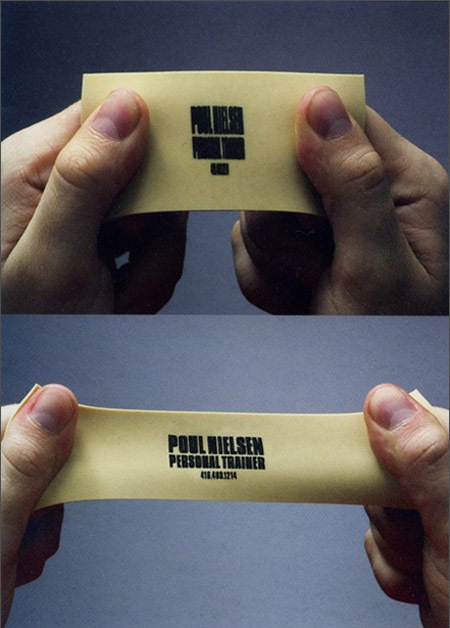 Yet another useful business card. Embedded image courtesy of Imgur, dogbombs. 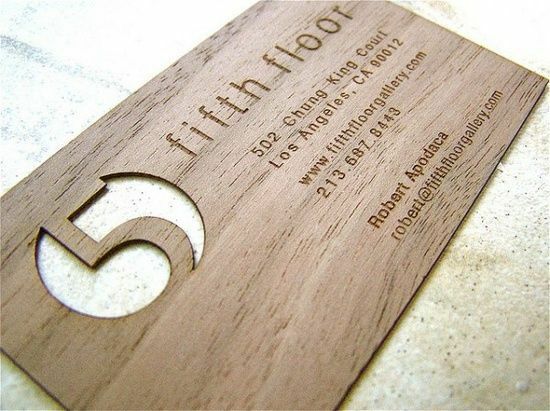 This card gets back to nature with a wood design. Since you have to stretch it to actually read the text, this flexible card is super playful. And hey, the design stretches the imagination (pun completely intended). Embedded image courtesy of Imgur, kid_z. 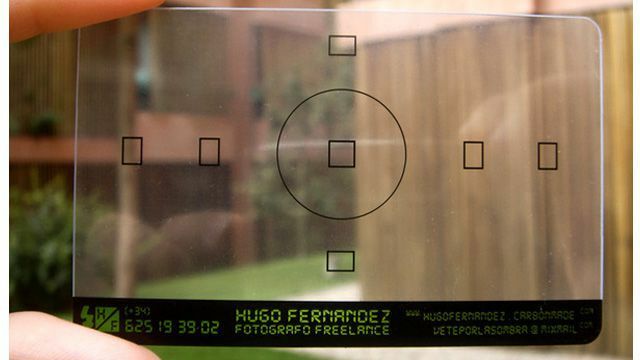 If you’re a photographer, this design conveys a visual career with a camera viewfinder display. Embedded image courtesy of Imgur, lordla. Though arguably QR codes may not withstand the test of time, they could be a good way to lead people toward your online content. Image courtesy of Flickr, Thomas Low/Thomas Lowe Design. Want to get more interactive? 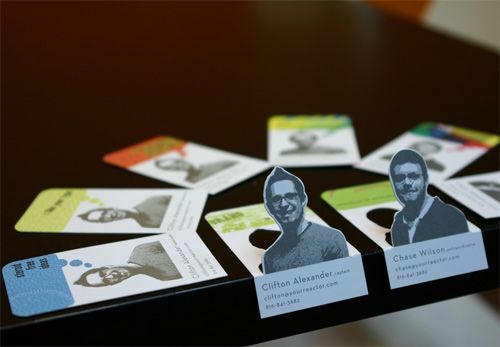 Augmented reality cards can be unique solution. 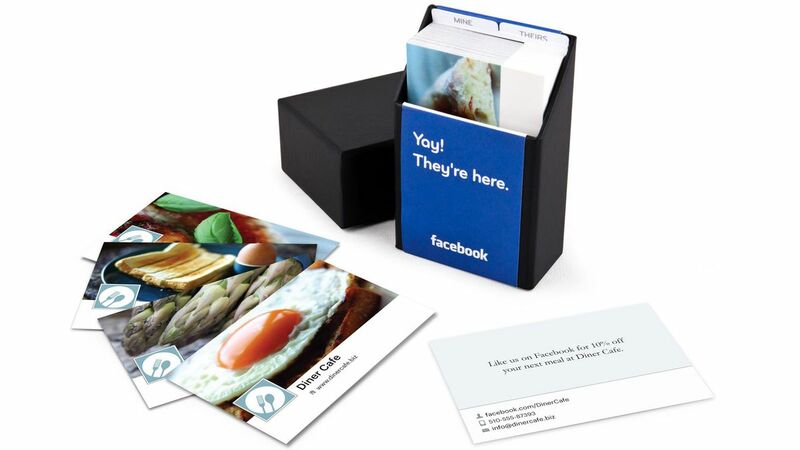 But the recipient usually has to hold these special cards up to his/her webcam for the experience to work. A unique square card with color that pops. Images courtesy of Flickr, Kyle Van Horn/kvanhorn. Why be square (or rectangle)? Cards with different shapes stand out amongst a pile, but some might not fit nicely in your wallet. Why does size matter? Go mini. 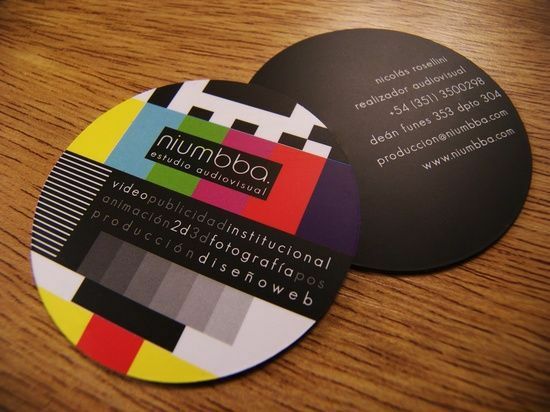 Design by MOO. Image courtesy of MOO Inc.
Mullet style: party on the back, business on the front. 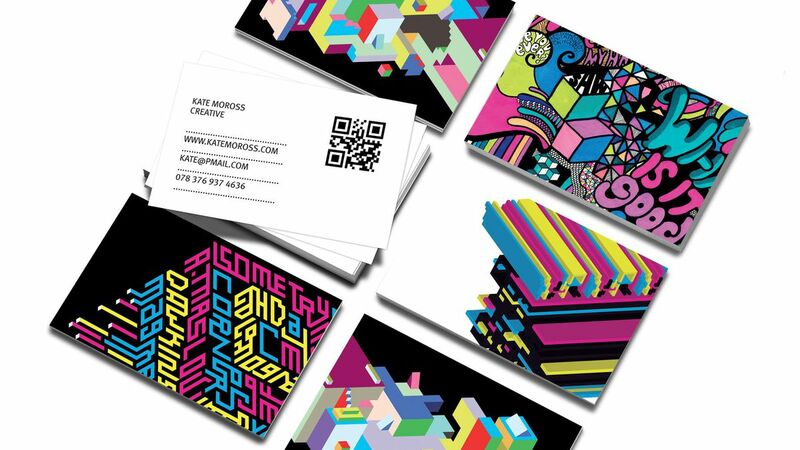 Design by MOO. For true social media aficionados, emphasize your brand’s Facebook presence. Design byMOO. These handmade cards with hand-stamped ink leave an original impression. Designed by The Awesome Project. 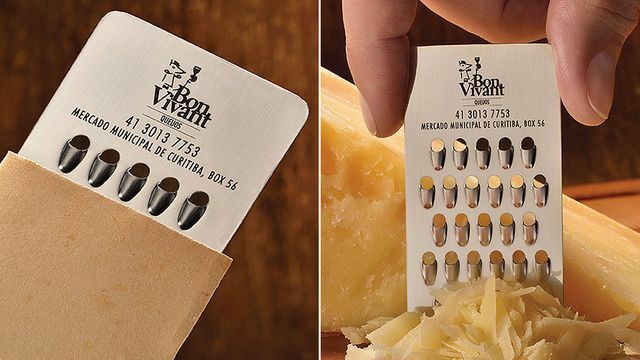 A clever visual effect when you slide the card. Design by Chez Valois for Caroline Biosvert. 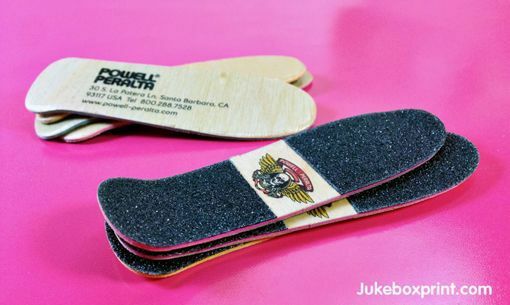 Think beyond plain paper — this design by JukeBoxPrint for Powell Peralta is quite unique. 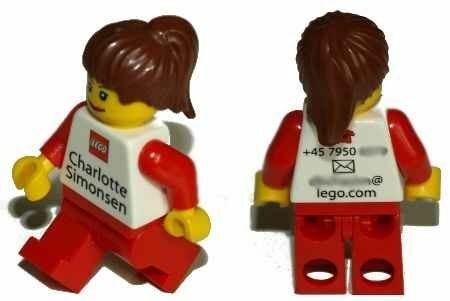 This design by David Sjunnesson features a pop-out figure. Get direct with your text. 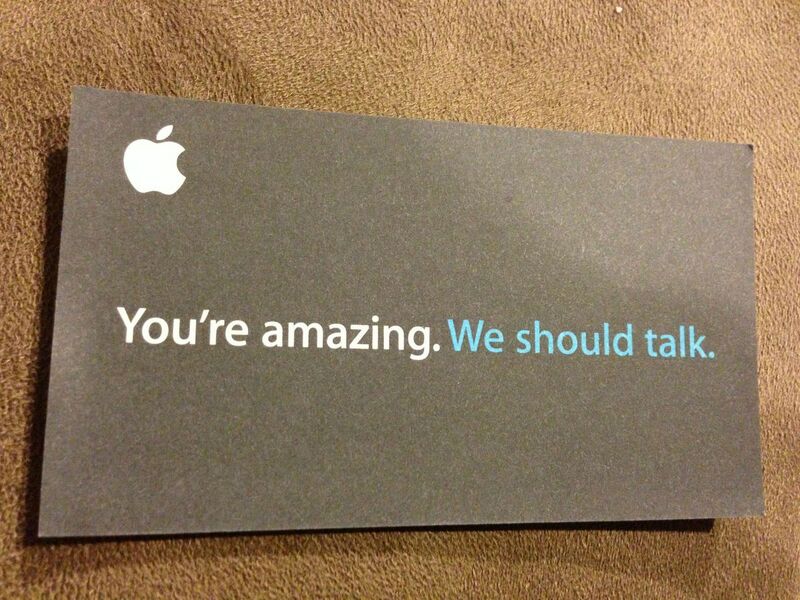 Apple retail stores have reportedly used this card design for recruiting. Sometimes, humor is the best way to break the ice. Embedded image courtesy of Imgur, boomtownbuzz. 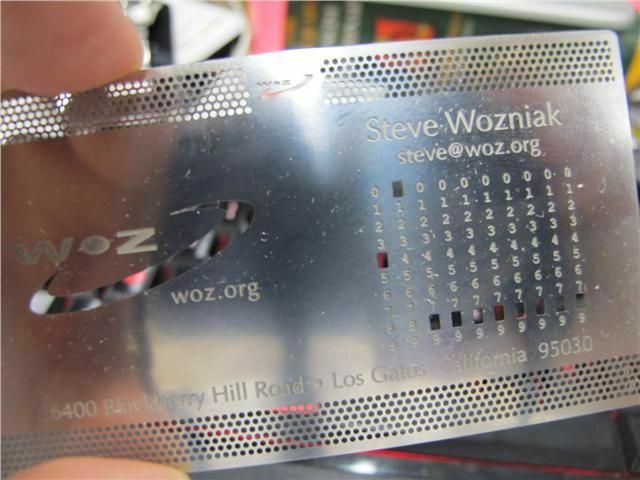 Apple co-founder Steve Wozniak’s card is totally sleek in a geeky kind of way. 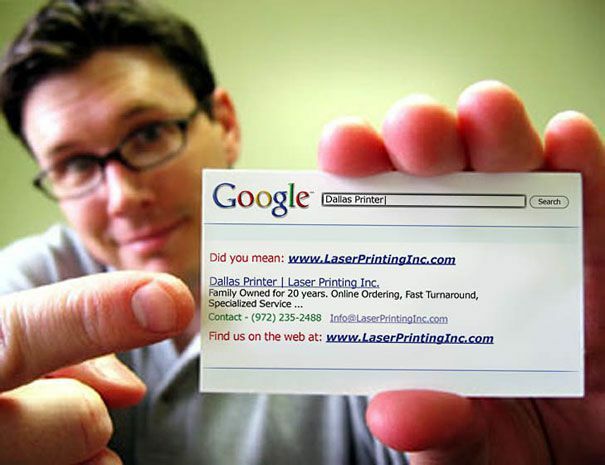 Please visit www.superiorpromos.com for paper business cards and custom magnetic business cards. Lawmakers passed legislation on Monday intended to speed up pending approval by the Food and Drug Administration (FDA) of several types of sunscreen. The Sunscreen Innovation Act, passed by the U.S. House, seeks to garner approval for sunscreen active ingredients that have been under review by the FDA for as long as a decade – and that are already available overseas. The Senate is readying a similar bill. The FDA hasn’t approved a new active ingredient for sunscreen since the 1990s. Carlson cites the FDA’s deliberateness when it made a slew of changes two years ago regarding sunscreen, such as listing all ingredients, relabeling from waterproof to water resistant and mandating that sunscreens protect from both UV-A and UV-B rays. “The changes they made in 2012 were slow in coming – they took forever,” he says. Visit www.superiorpromos.com for all your promotional Sunscreen needs.